The Ulster County Legislature this week postponed taking action on terms limits. A number of residents had asked legislators to delay action on a resolution because of what they view as outside influence. Some legislators shared similar concerns. Many elected officials would be out of a job if we had term limits. 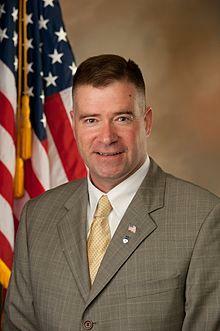 In today’s Congressional Corner, New York Representative Chris Gibson tells WAMC’s Alan Chartock why he supports them. United States Congress people aren’t subject to term limits. In today’s Congressional Corner Alan Chartock speaks with New York Congressman Chris Gibson about his self-imposed term limit and potential future plans. This old Doubting-Thomas of a palaver-some pundit has been much troubled of late. The cause? Having heard a rising chorus of voices, belonging to public personae who, one expects, should know better, urging their faithful friends and fellow citizens to relinquish the precious possession that all those members of the military we’ve been sending into harm’s-way (ostensibly to preserve) have been dodging danger for--- and simply hand the franchise that makes our freedom meaningful over, to some unprincipled penny-pincher of a political proxy. Two freshman New York lawmakers from the Hudson Valley have joined together to introduce a bipartisan bill on term limits, which they believe are key to much-needed reform in Albany. Democratic Senator Terry Gipson and Republican Assemblyman Kieran Lalor, both from Dutchess County, joined together across party lines Thursday to say term limits are long overdue, especially with political corruption so prevalent. Here’s Gipson, of Rhinebeck.